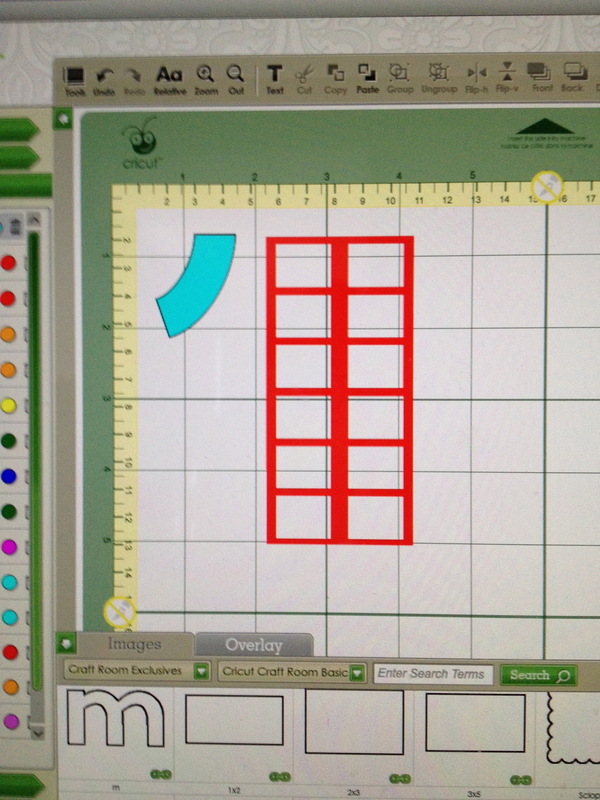 The following snapshots illustrate how you can use Cricut Craft Room (for free) to make drapes for your paper window projects. If you are new to the Cricut Craft Room, here is a link to some video tutorials which are really beneficial. For the purpose of this little drape tutorial, I am using a window frame from the French Manor Cartridge. Even if you don’t own French Manor, you can use it for “sizing.” The window frame is Window-s and I have welded two together in order to have a longer window. I am using three mat layers in CCR – the red window frame, the light blue comma “,” from CCR Basics (once again – it’s free) and the dark blue “l”. In all of the steps, size using the little arrows that appear when you click on an image. It is easier to make the drapes with the “fill mode enabled” box checked under the “Options” tab. 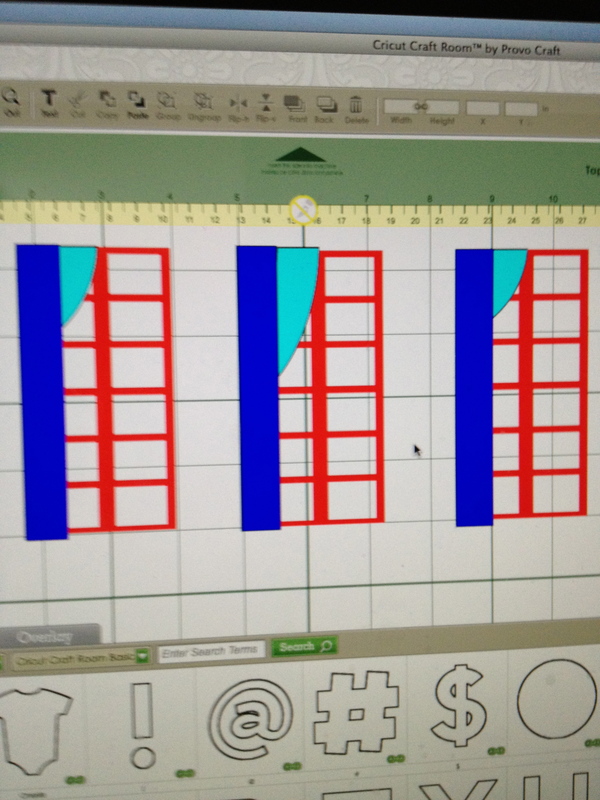 Step 1 – Add your window frame to the first layer (note you can also use a rectangle from CCR Basic to create a window). This is the red layer on my project. Add a “comma” from the CCR Basics (when asks if you want to use the current selected layer or add new, select add new) and since it is in a separate layer, the “comma” will not weld to the frame. The “comma” is the light blue layer. Step 2 – Place the “comma” over the corner of the window frame. Adjust the height of width of the “comma” so the drape of the curtain suits you. The photo shows three “comma” placements so you can see how you can adjust the curve of the drape. 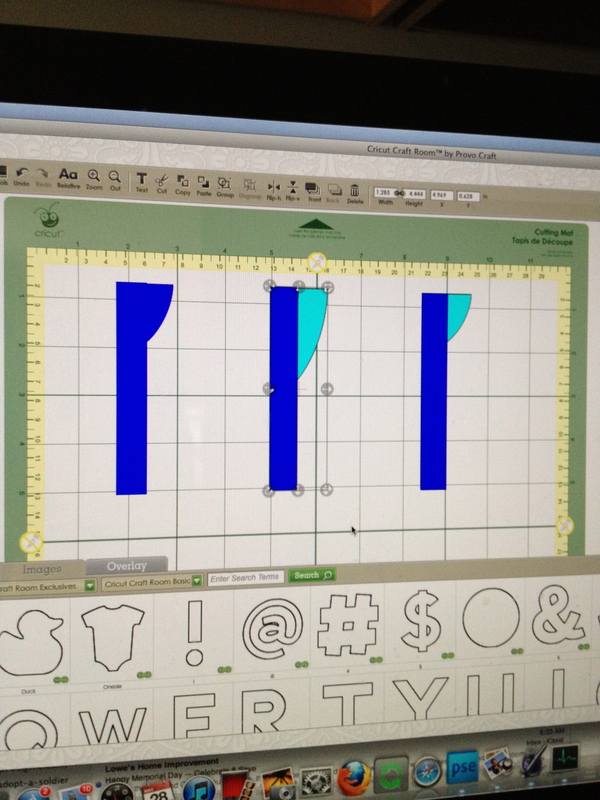 Step 3 – Add an “l” from CCR Basics and adjust the height and width until you are satisfied. This is the dark blue layer. Step 4 – First, hide the window layer (click the “eye” next to the layer name). Using the click and drag, select the “comma” and “l” and “group” them together. The “Group” button is along the top of your CCR program. Both layers should be dark blue if you have successfully grouped. Copy and paste the grouped “drape”. Using the “Flip Horizontal” button, flip the drape on the right so you have a left and a right drape. You could weld the two shapes together but I prefer to keep them separate as they look better as two distinct cuts. 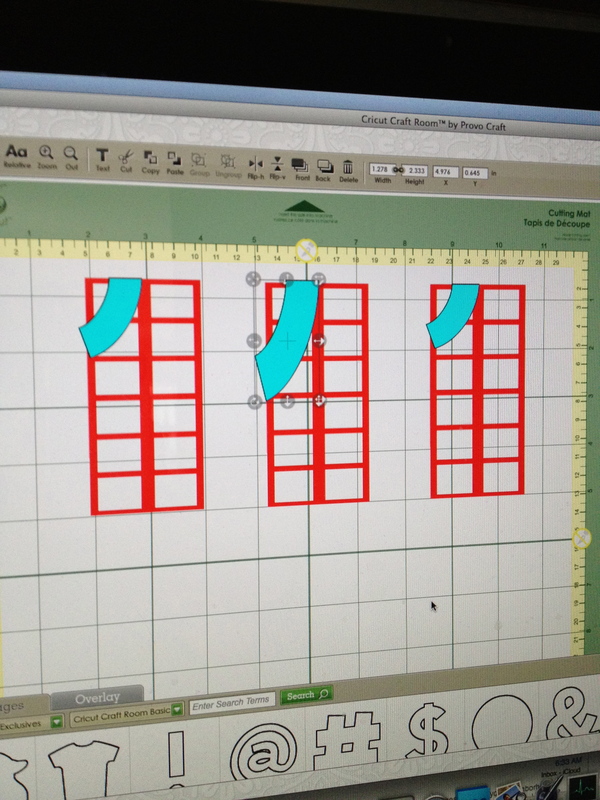 Step 5 – Check your drapes by going to the window frame layer and clicking the “eye”. The frame will show with the drapes. If you are happy, cut away. If not, adjust the drapes or the window frame. 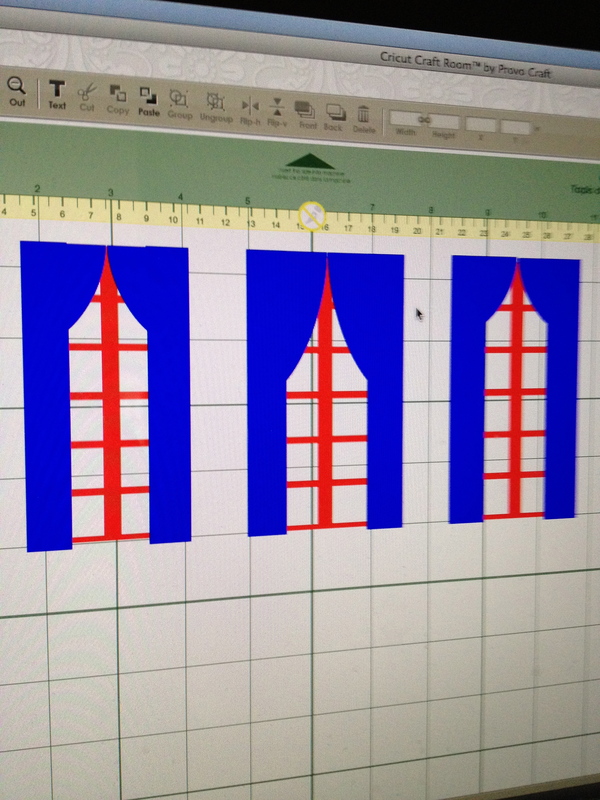 Step 6 – After cutting, use a marker or pencil to add shadows for the fold of the drape. 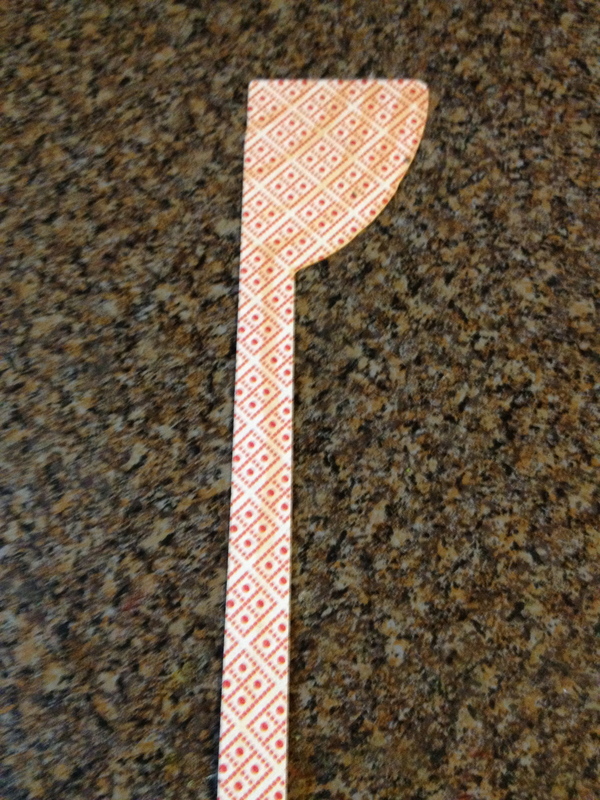 You could easily add tie backs from paper or ribbon or using a marker. Thanks for the tutorial. I need all the help I can get with CCR. Right now I’m using the trial and error method. Needless to say its slow going, but I am finding I really like CCR. I love that you added this post! It makes perfect sense to me, and I am totally CCR-challenged! Just proves that this is a great tutorial! Thanks for a fantastic tutorial! Love the curtains!